Aspire are back with a very nice little pod system introduced for 2019. 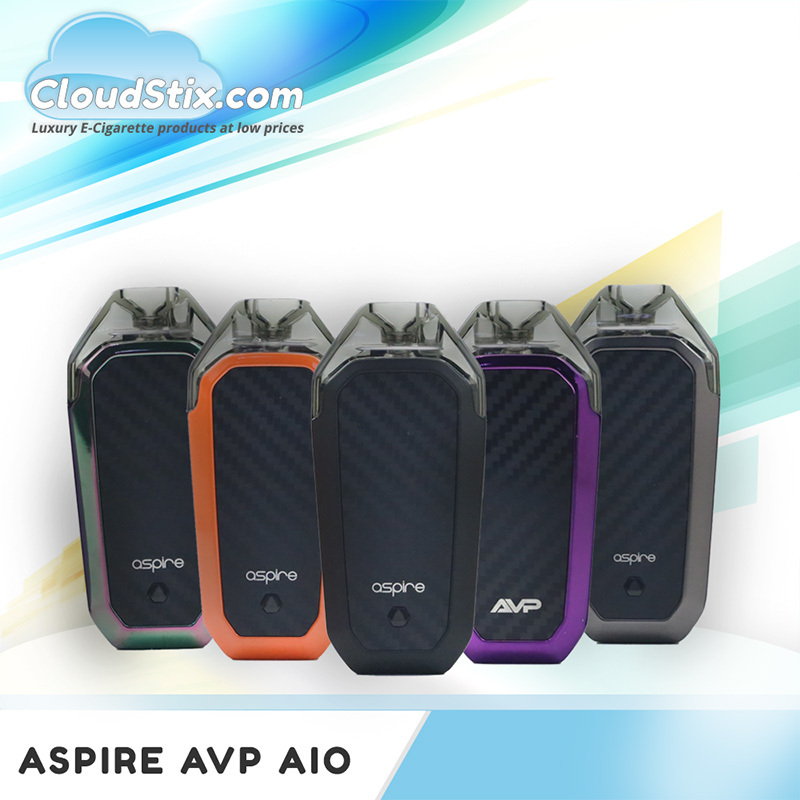 The Aspire AVP Kit has some excellent features that improve upon previous pod systems Aspire have produced. To begin we have to say the look and feel of the AVP Kit is far better than say that of the Breeze, Breeze 2 or even the ultra popular Nautilus AIO. The shaped design and material used does make it feel fantastic in the hand and when in use. The Aspire AVP is available in 5 colours and we have to admit when we read orange, we shuddered a little. However, the orange edging used here is very smart and adds wow factor. 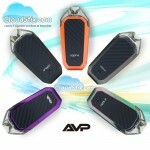 The Aspire AVP is small, so perfect for those wanting a pocket / bag friendly device when on the go. For a small device it certainly has a lot going on lets look at the dimensions. So what about the performance of the Aspire AVP ? The Aspire AVP offers users a choice of x3 different power settings, 8 watts, 10 watts and 12 watts. This is chosen by x2 clicks of the mode select button and the LED will always tell you which setting you are currently in. The power settings are perfect for the 1.2ohm coils which is featured inside the AVP Pods. Whilst the coils are not changable, the pods thankfully are and at very little expense for a pack of 2. Speaking of the pods they are held in place by magnets rather than the clips found on previous Aspire Pod systems. This makes a hell of a difference with zero chance of breaking the clips and thus rendering the whole device useless. The pods easily glide in and out when you want it to, but hold firm during everyday use. After having samples for well over 1 month prior to release we had zero issues with the new style pods. When used with 50 / 50, high PG or Nicotine Salts the Aspire AVP is outstanding. 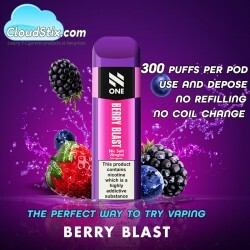 If used with high VG then users may lose the punchy kick due to the device not being sub ohm. So if you are a MTL or Nic Salt user then you are indeed in for a very nice experience when choosing the Aspire AVP. Filling the pod is simple and leak free. Aspire have included the popular push and fill system and it seems to be slightly improved here on the AVP device which is fantastic. Airflow, whilst fixed, is perfect for POD style vaping and users should not be put off by this at all. The Aspire AVP chucks out a wonderful amount considering its non sub ohm and users will certainly not be disappointed by the Airflow system installed. This device is auto draw - meaning you do not have to press and hold a button to get the device firing. The auto draw on the Aspire AVP is hugely improved upon previous devices that also had this feature. Battery Life and Charging ? The Aspire AVP even though very small is packing a 700mah capacity battery which considering is only being used with a 1.2ohm coil then life from a full charge should be fine depending on usage of course. Charging the AVP is so quick and easy as well. Simply connect the Micro USB cable to the device and a compatible plug adapter or electrical device and the AVP will begin to take charge. The LED system on the device will also alert you to the current state of the battery levels as well. Aspire have produced another fine Pod system in the Aspire AVP. It has zero of the flaws found in pod clips or auto draw when it should not. The Magnetic Pods are a huge plus and just make life so much easier when changing and filling the pods. If you MTL or Nic Salt Vape you will LOVE the AVP from Aspire. 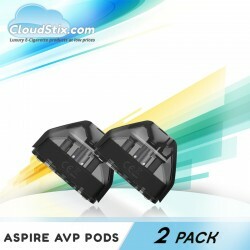 Aspire AVP Pods UK Grab a pack of x2 awesome replacement pods for the Aspire AVP Kit. The Aspire ..